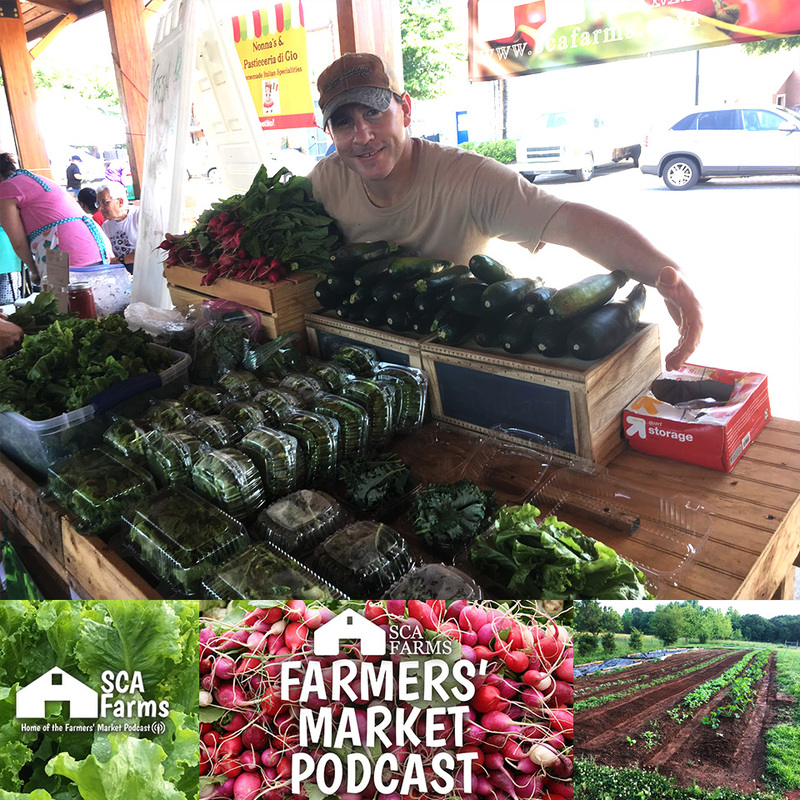 I’m excited to introduce my guest who also has a podcast called the Farmer’s Market Podcast to talk about some of the success he’s had! For the past 2 years I’ve got the bug for market farming. You can’t really count your first year. Really heavy this past year. So you went from pasture to following a plan of following a market farm. You are already selling at the farmer’s market, I see there’s a list of crops on your website. Tell us about the transition from pasture to producing food. It’s a journey. It’s not easy. I’ve always been a hard worker. If you ask people that now me, I’m a get it done kind of guy. I can have fun but I like work. had this pasture land. I believe in farming is that everything has a purpose. What can I do with limited equipment. I always wanted. I was so close to getting one of these big farm, tractors. Now I really understand. I started out just doing reserach. A lot of research I was doing. I used tarps over the winter my frist year. I am not a believer in spraying, pesticides or putting chemicals on anything and my wife will tell you the idea of eating from the stores, I don’t know what’s been sprayed. The only thing I spray is water, that’s kind of how I started. My dad always did little stuff around the house but my grandma had a garden in the back of her yard, it was a pretty big yard. It was as a little kid. She used to grow stuff all the time. She would get fresh blackberries. We didn’t spend a lot of time, she was in Clarksville, TN. She always wore that the old school smock like a one piece and boots and that smock. She’s be in the house cooking breakfast and go out to the garden and that’s what she would wear all day. when your raising kids, it’s the same thing when you’re raising plants. A baby is defenseless. You’re hoping that when you grow your vegetables or they grow out in the world that they make a difference in someone world. philosophical answer but that’s how I feel when you’re growing stuff. I think listeners will relate to that and that’s why were interested in that. I call my listeners green future growers because we’re interested in sustainable practices and growing a greener world. It takes a caliber person to get out there and do the work. once you see that happen one time you have confidence you can do it again and then replicate it. I did it with lettuce can I do it with arugula? hey arugula works can I do it now with kale? Carolina farm Steward conference in durham. I’m gonna meet a lot of folks that are going to have a wide variety of beliefs on what they grow and why they grow it and how they grow it but it all boils down to people trying to grow the most good food. Im looking down at Mike’s minifarm. It still seems like almost one of our 2 wells is always running out. I always wonder how we are ever going to produce enough food for other people, it’s hard enough for us to grow enough for us. I think Mike has grown enough potatoes this year for us, I think he harvested 250 lbs if that doesn’t last IDK what will. Kale this year, I learned with it how easy it is to grow and get a strong crop and I might not grow spinach ever again. Other things we struggle with, tomatoes are really hard. Corn is so hard in our climate, he was so close this year with a nice crop. Plus kale is so much stronger. Arugula. without a doubt I can get an arugula crop if not every week it’s pretty much every other week, it does really well in this climate. good crops to grow in certain areas in South Carolina especially in this area. 2 different types of kale that I grow. gets really mature it really tastes great! We did french breakfast radishes they taste amazing. Want to here something about radishes this year, I just happened to see this post on Megan Cain’s Creative Vegetable Gardener, is that you can saute them, and I ate so many of them this spring! now that I am growing vegetables! I can eat that till I’m blue in the face! It blends up the radishes, even if you are not a consumer, it’s blended so well you only get a little taste. I’m sure it tastes good with the pickle vinegar in there. If someone has a recipe for pickled herring please share. lose energy and I’d rather put it into the plant. Keep it simple, I always like to start small. It sounds like you started off gigantic! 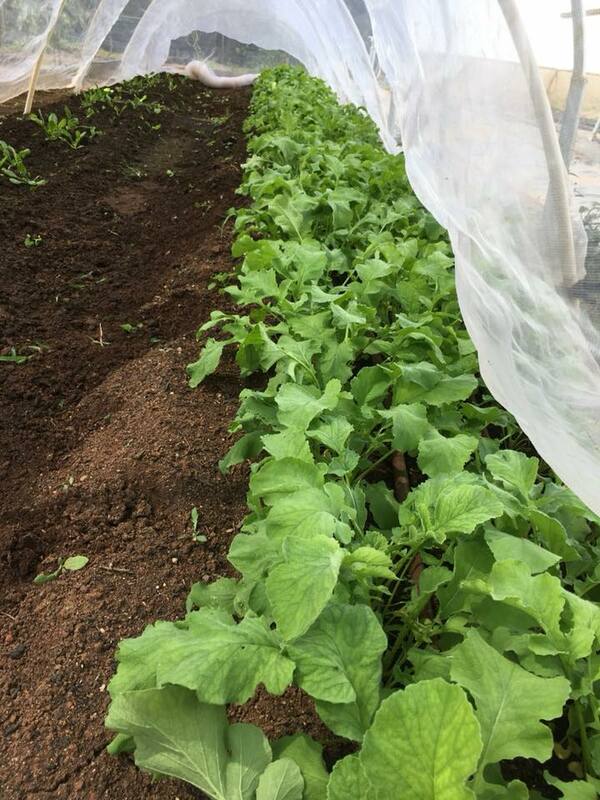 a 50’ row in lettuce multiple times in a season will produce a lot of lettuce. You were asking how did I get from pasture to market? the first year I had no intention of going to the market, none, zip, I wanted to do research. Sure enough the things I had planted in March and Feb started taking off and my wife says you need to go to the market. Someone says, hey, are you a farmer? I was like, yes, I have a farm, that’s right. I didn’t want to give myself a farming classification. They said, we’re looking for farmers at this market. I said let me think about it. I talked to my kids and tell them what, I’m doing. at first they don’t get the vision. My problem is my mom doesn’t get the vision. I feel like she doesn’t get the vision. She always says go to the market, I’m always like we don’t have enough stuff to go to the market. It really messed up my sink, once you start planting in a season, you have things you have to have done at a certain time. That’s what my husband always said, we should have pickles for the kids at the table for the kids at the table. I brought it as display. The whole idea. The same thing with the cucumber water to attract people to the stand. They would see I have 2 types of cucumbers. we do more then this but right now it’s just cucumbers. I would say, I can’t sell them but you can try them. they would say hay these are great! People standing at the stand, and I would say they were made with these cucumbers you can buy! Until you do it and try it, the cucumber water blew our mind! We had people asking us how to make it. My friend Dacia drinks that all the time, cucumbers with mint etc. I’ve been in hotels in Atlanta and in their fitness rooms, they have a big ole jug of iced strawberry cucumber water right there and it tastes great and looks great! So to bring to the city. It’s classy and having this water why don’t we bring it to a local market. Just gave out water. It was hot! So why not? People walking buy and it was just a conversation starter. People bought cucumbers just cause we had the water! There’s a ton of farmers from this area! everybody doing market gardens to aquaponics we have a ton of folks. We have a market in Greenville. 1000s of people It’s ridiculous how many farms and people are at this market! My biggest challenge has always been Succession Planting! what am I gonna take to market this week. she has got a product that is going to help me out! I’m really excited because it’s different and gets me jazzed up! I always excited about more podcasts to teach people the better! When you’re growing you want to grow a variety of vegetables! had to push your weight out of the vines, I trimmed as much as I possibly could. That will get me every time! when it happens all the kids are looking at the weather in the upper part they know schools are gonna be closed! one – 2 inches it’s gone within the week, it’s not bad at all. We get a lot of rain. Are you close to the coast? one side nice and drenched with water and the other side nothing! This is not good! Just go out and water with a bucket? We’ve done that, because we’ve had our water challenges. Our first well was just a shallow well, it was enough to do a couple of beds but not the lawn, or the orchard or certainly not the mini-farm, but I have certainly hauled my share of water buckets. A lot of my guests have talked about watering and automatic systems. I feel like we still spend a lot of time watering. weeding but I don’t do a whole lot of it because I use the tarps. starting the process when you bein! giving the TLC, now it’s your time! daddy’s done for the moment, now you gotta do your little thing. It’s true they are like your little babies but they do gotta grow on their own! irrigation is the perfect example, I decided I’m just gonna hook up my hoses and run a sprinkle! You can fix simple, but you can’t fix complicated! I will say this, I don’t like weeding, I love my little flame weeder torch! It’s like on fire! Like back in the cave man days ~ ooooh fire’s good! I like all that because I’m a big salad girl, and I’m a big salad dressing girl. Mike pickles a lot of beets for me, we rarely buy tomatoes from the store and I put those pickled beets on there in the winter and hmmmmm. Those are so good! The garden bursting. think of people and farms. Never sink Farm right there on the Neversink River. He was a corporate guy, he and his wife just went out and did it from scratch. The internet gives you connections. You can’t be lazy if you’re a farmer, no way, you may not want to do something. I could give excuses like, I didn’t look that up but it’s really, I don’t want to know. I was listening to Marie Forleo and she talks about this thing where you can get whatever you want, but she talks about you have to decide what you really want, you can’t say, I can’t find time to exercise, you can say I won’t exercise, because if you really want it you’ll find the time. Then figure out are you going to and make that commitment or are you not. 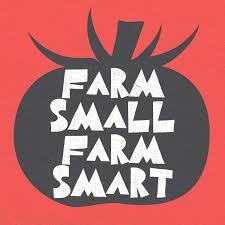 Do you really want to be a market farmer? I am watching that Never sink Farm website, I have seen that before but I could watch that all day! Curtis can give you some real practical guidelines on how you can just get started, even if it’s just one row. I would agree with you about what you’re saying about I can’t and I won’t. It just exists in my mind. I will a vegetable garden and I started digging the patch where I’m gonna plant. I’m a big believer in that. I’ve been working on this book for like 25 years now called Dreams Do Come True. We never thought we’d dig a well, or have an orchard or be where we are now, we lived 6 years without water on our property. The great thing about where were at, there’s a whole other story behind that , there’s a whole story behind our property I’ll tell on the podcast. they had a small well they redid the well before we bought the property it’s about 350 feet in the ground. I had them check the well before we bought the house. They said, you guys are probably gonna die 3 times before the well runs dry. the one essential thing we all need is water. You can’t really haul water to a garden, I mean we’ve done some of that but not a lot, I did talk to Kathy O’Leary when I first started my podcast and she talked about hauling water to garlic to take to the farmer’s market. We dug a well 560 feet deep, idk if we are ever going to pay our well off! We have expanded so much, Mike grows so much more every year, like he grew like 2xs as much as ever and then like 4xs and this year like 10x as much as he’s ever grown! how to sell products I believe in and knew exactly how they were created! The best business advice I can give to children listeners or anyone who asks for advice. saying someone mentioned it on a video, stop eating out of a box! Cereal was in a box, everything was in a box, I never knew where the food came from. understanding something that we ate or put in our body and could have prevented it and what’s causing it! know you’re giving poison to your kids and when you don’t know that’s a whole different story. I’ve been through this whole argument with my mom, she’s always like we didn’t grow up eating organic food, it’s just a scam to charge more money, I keep trying to tell her, it’s not like food we got when we were kids. That food didn’t have the chemicals the spray on it now. Her doctor finally said something about don’t eat food with GMOs, so now she’s on the look for the GMO free label. you are never gonna see it grow! If you don’t plant that seed you have in you, the reality of it is, we all have a seed that I believe that God has put in you at least water it to see if it’s gonna grow. Then I say shame on you for taking what has given you and not doing anything with it. I used to, not harshly, and try to motivate them to get out there and do their best! let that take you to where you need to be in life. I like that because I call my listeners green future growers because especially in this day and age of politics, I like people to walk there talk! (Stefan Cares About Farms) People don’t know where the SCA came from, it’s the initials of my name, my wife’s name, and my oldest child’s name.